HBO is confidently insecure. 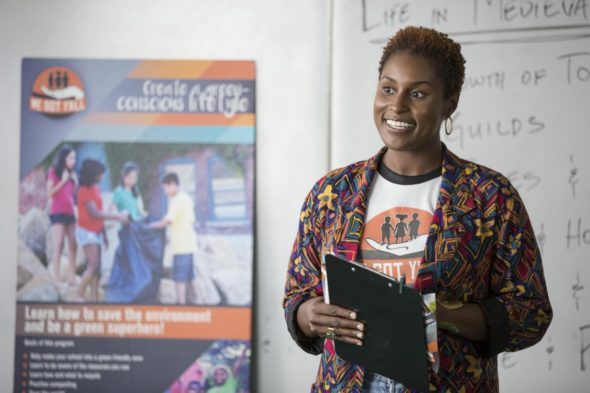 The premium cable channel has announced Issa Rae’s new Insecure TV show will premiere early online. Watch the announcement, below. Rae and Larry Wilmore created the half-hour comedy series, which also stars Yvonne Orji. Insecure is now available to stream early via HBO NOW, HBO GO, and HBO On Demand, ahead of its broadcast debut, Sunday, October 9, 2016 on HBO. RELATED: The Nightly Show with Larry Wilmore Cancelled by Comedy Central. Insecure star and co-creator Issa Rae spills the details in a new video. Watch it. What do you think? Do you like the sound of the Insecure TV series? Do you plan to watch the premiere on HBO? Tell us. More about: HBO TV shows: canceled or renewed?, Insecure, Insecure: canceled or renewed?, The Nightly Show with Larry Wilmore, The Nightly Show with Larry Wilmore: canceled or renewed?